An industry expert has backed a new Ofgem investigation into six energy suppliers, suggesting the time is right for it toÂ 'send a message'Â to firms failing to reach preset targets. The energy regulator opened an investigation into firms including three of the 'Big Six' suppliers, British Gas, SSE and ScottishPower last week for missing a number of targets set under the Carbon Emissions Reduction Target (CERT) and Community Energy Saving Scheme (CESP). GDF Suez/IPM, Intergen and Drax are the other three suppliers currently being investigated by Ofgem. If the regulator decides to carry out any sanctions, it has the power to impose fines of up to ten per cent of the turnover of companies that fail to meet the targets set. Encraft director, Matthew Rhodes,said the setting of tough fines was the only way to ensure the firms responsible for meeting carbon targets stuck to them, adding the support of innovation in the industry was a good way for them to meet such targets. He said: "Missing targets clearly doesn't bode well for the more complex things we are trying to do." 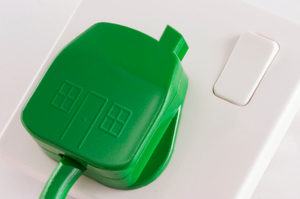 The Government is currently working alongside energy companies as part of its Green Deal. The scheme has replaced CESP and offers customers the chance to fit items such as a new boiler at a subsidised rate they then pay back to their energy supplier via their energy bill.